BIG and The LEGO Group just unveiled plans for the new LEGO experience centre in Billund, Denmark - and it looks like a gigantic stack of toy bricks! 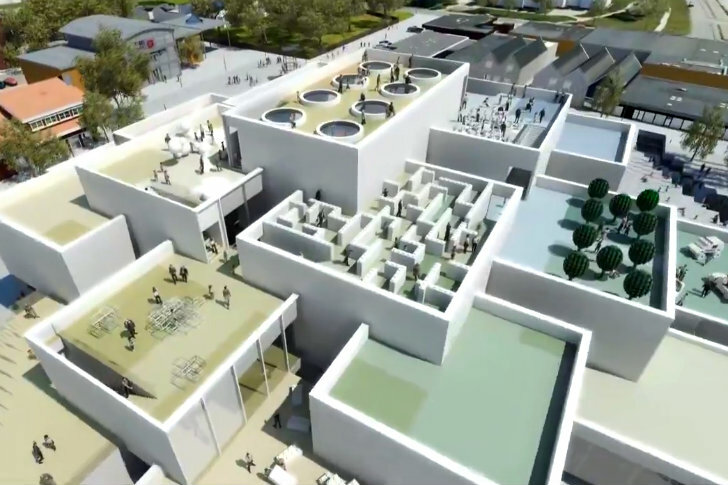 Billund is the birthplace of the globally popular building block, and a portion of the museum will be accessible for free to both residents and visitors. The project will also feature ample daylighting, interactive exhibits and a series of rooftop gardens - complete with larger than life LEGO trees. Construction on the museum is set to begin in 2014. The LEGO Group selected BIG and Ralph Appelbaum Associates to design their interactive museum back in February of 2013 because of their understanding of LEGO and architecture. In fact it’s not the first time BIG has built with LEGOs, and their pixelated designs are well-suited for an official LEGO museum in the birthplace of the universal toy. The concept the team just unveiled is a series of LEGO-block buildings stacked to create a mountain of LEGOs that visitors can walk around, under, in and over, just as you would if you were playing. To be located in the center of Billund, the parts of the museum and its surrounding plaza will be open to the public for free. The stacked block building will have approximately 7,600 sq m of exhibition areas, a café, a unique LEGO store and a large public square. Daylighting will stream in from the sides and through skylights in the roof, while rooftop gardens will expand public space and provide outdoor play areas. With an expected opening in 2016, the museum expects to see around 250,000 visitors annually. The LEGO Group selected BIG and Ralph Appelbaum Associates to design their interactive museum back in February of 2013 because of their understanding of LEGO and architecture. The concept the team just unveiled is a series of LEGO-block buildings stacked to create a mountain of LEGOs that visitors can walk around, under, in and over, just as you would if you were playing. 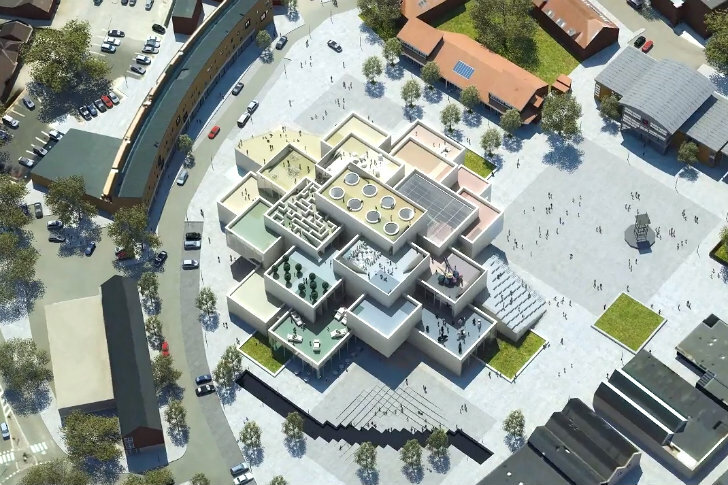 To be located in the center of Billund, the parts of the museum and its surrounding plaza will be open to the public for free. An underground vault will display all of LEGO's toys ever made. This sacred room will have children and adults drooling over all the toys. The stacked block building will have approximately 7,600 sq m of exhibition areas, a café, a unique LEGO store and a large public square. Daylighting will stream in from the sides and through skylights in the roof, while rooftop gardens will expand public space and provide outdoor play areas. With an expected opening in 2016, the museum expects to see around 250,000 visitors annually. The ground floor features a cafe, a kitchen, a forum and other service amenities around a central courtyard. The exhibition rooms are stacked on top of this ground floor. The rooftops double gardens and play areas. Bjarke Ingels as a LEGO character.